Credit: Nexu Science Communication and Trinity College Dublin. HIV remains a major global health problem, with over 40 million people infected worldwide. And while people living with HIV have been treated with anti-retroviral therapy for over 30 years, this favoured therapeutic option merely prevents the progression of the disease to AIDS – it doesn't cure patients of HIV. During any viral infection our immune system produces a powerful molecule (Interferon), which 'interferes' with the infection and the replication of viruses. Interferon activates an assembly line of molecules in our cells — via the Interferon signalling pathway – which causes the body to make antivirals that help to clear the infection. However, when patients are being treated with anti-retroviral therapy, HIV is not fully cleared by our immune system. 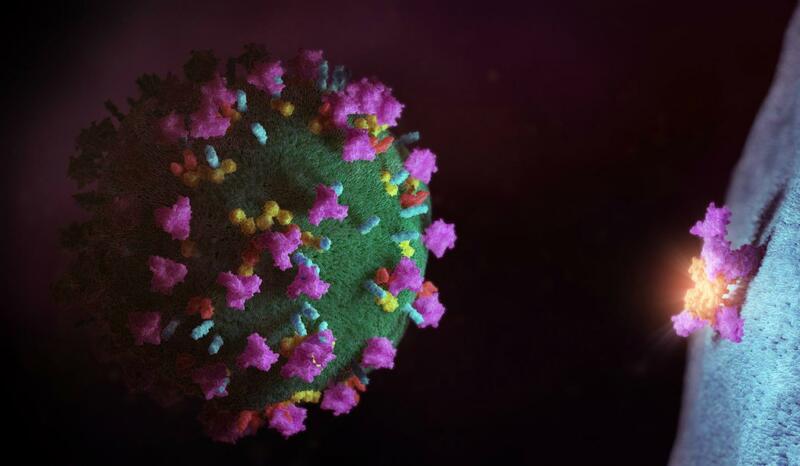 Therefore, the scientists from Trinity College Dublin behind the research investigated whether HIV was somehow blocking the Interferon signalling pathway and thus avoiding the immune response that is designed to cure viral infection. The findings confirmed their suspicions. Assistant Professor in Immunology at Trinity, Nigel Stevenson, led the work. He said: "We discovered that HIV promotes the destruction of the anti-viral Interferon signalling pathway. Essentially, HIV uses the machinery in our own cells to do this, and the virus is thus able to reduce the production of many important anti-viral molecules. Without these anti-viral molecules, our immune system can't clear viral infections."